As you can see, the model will have an evolutionary design with a front end that is virtually identical to the current car. Despite the similarities, there are a number of differences beyond the A-pillar including new door mirrors, a smaller greenhouse, slimmer taillights and a restyled rear end. Overall, the vehicle is nearly 2.5 inches (6.4 cm) wider than the current model and rides on a wheelbase that has been stretched roughly 4 inches (10.2 cm). 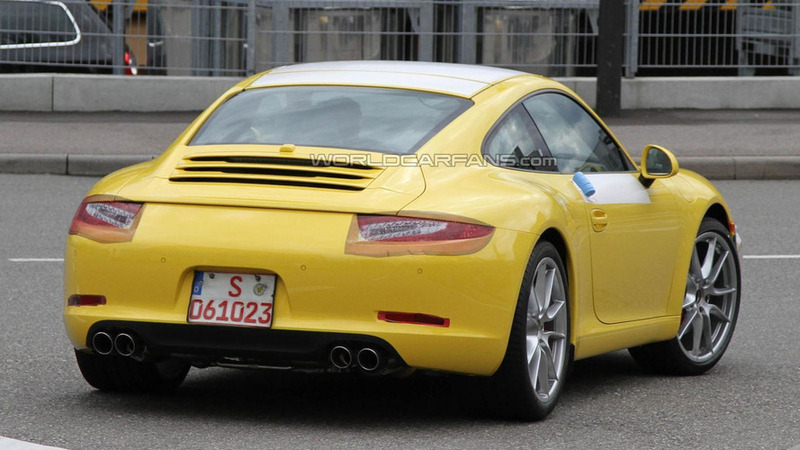 As we have previously reported, the Carrera is slated to adopt a 3.4-liter flat-six engine with 350 PS (257 kW / 345 hp). 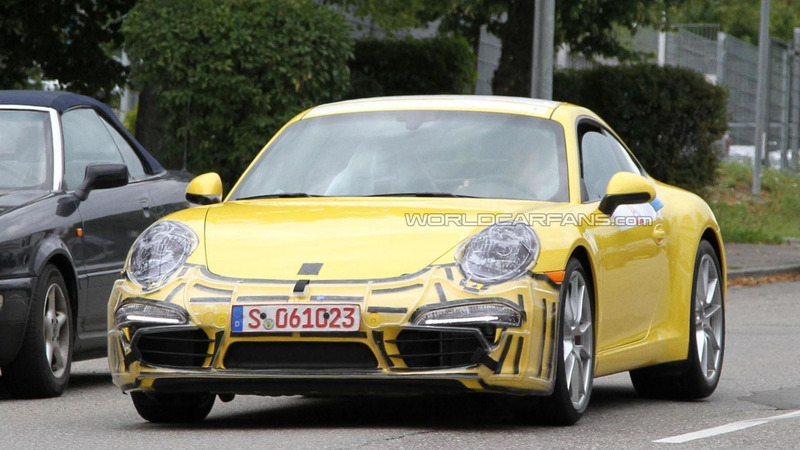 Moving up the Carrera S will reward drivers with 400 PS (294 kW / 395 hp), while the Turbo is rumored to have an output of approximately 550 PS (405 kW / 542 hp). Regardless of what engine is selected, it can be paired to a seven-speed manual or an optional seven-speed PDK.